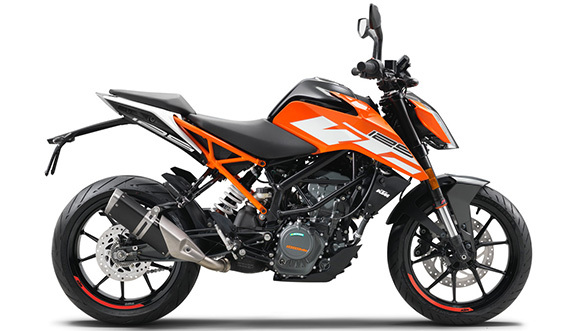 EXCLUSIVE: KTM India set to launch 125 Duke in India next month? 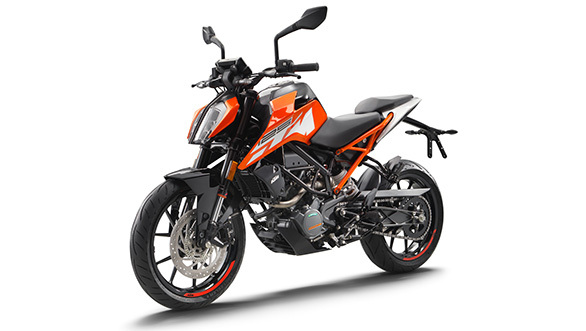 The KTM 125 Duke has been manufactured at the Bajaj Chakan plant from the very beginning. The new 2018 model, in fact, looks just like the 390 Duke with minor changes to the stickering and graphics. It's got a good spec too, including the Bosch engine management system as well as two-channel Bosch ABS. But so far, KTM India has maintained that the market for the 125s is a commuter market and introducing the 125 Duke in India wouldn't be possible because the price would be very high. Our sources tell us now that KTM India is now working towards a launch for the 125 in India as early as next month. We are reaching out to KTM India for a confirmation even as you read this. The international 125 Duke features a 15PS engine, six-speed gearbox suspended as a structural member in the same trellis frame that KTM uses for all its Dukes. However, we do wonder if the India 125 Duke will feature the styling update seen on the KTM 250 and 390 Dukes, or use the older styling package from the KTM 200 Duke. The latter makes more sense from the product range perspective. Giving further credence to our sources' assertion about the launch is the arrival of the Pulsar NS125 (launched in Poland). This motorcycle replaces the Bajaj Pulsar 135LS but appears to features a fuel-injected 12PS engine that looks more like the KTM engine is case shape than the outgoing engine on the 135LS or the Discover 125 engine. We have always believed that there would be a small but profitable market for an enthusiast-oriented commuter class motorcycle with sporty feel and intent. In that sense, the fact that there aren't any sporty commuters or fast 125s has always been a surprise for us. But the youngsters should be happy - they're about to get an extremely sporty 125 (versus the rest of the 125 brigade) if our source is right.